Today was the culmination of a three year journey — but rather than starting at the beginning, let’s start at the end. 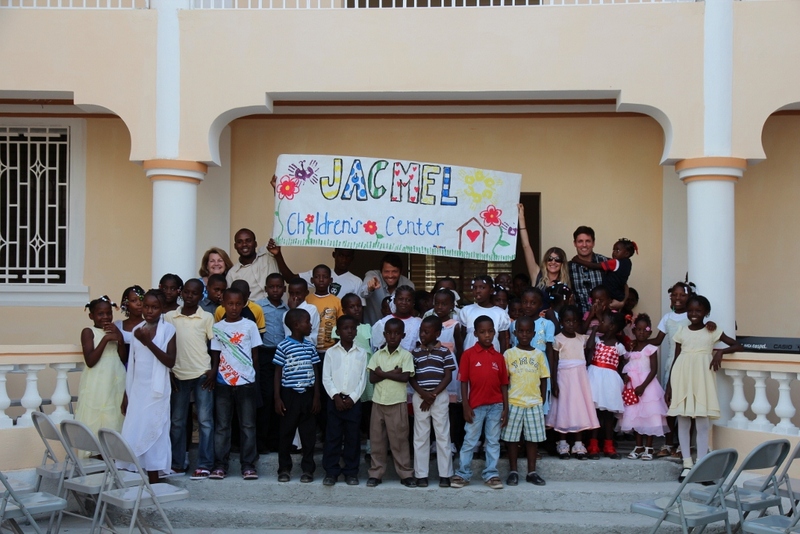 The most beautiful building in Jacmel came to life and was filled with children’s laughter and so much joy. Little girls in their Sunday best and high heels and little boys in starched shirts lined the benches in the JCC courtyard waiting impatiently for the opening ceremony to begin so that they could get to the cake. Volunteers held back tears as Bonite and Philip and Lisa Schneider took us back to the beginning of the project when the Jacmel Children’s Center had been nothing but a dream and an empty piece of land. 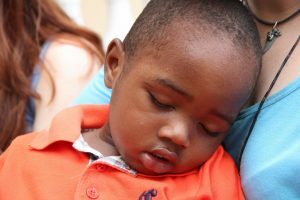 Little Stephen, the very first resident of the JCC cuddled up to us and fell asleep in our arms. 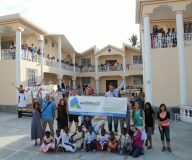 As the sun went down and the children rushed into the centre I thought back to the first day when I and many other volunteers were shifting rocks in the midday sun and how far we have come. As someone who has been privileged enough to have been part of this journey since the beginning, I can’t help but think that nothing I will ever do will have as much meaning as today. 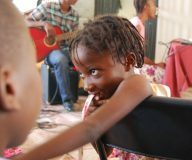 This is the last Haiti trip that Random Acts will have a fundraising campaign for. Every single one of you who supported this project and got us here should be proud. You’re amazing.